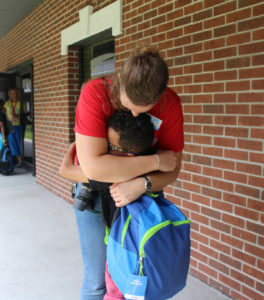 There are thousands of children in Seminole County that receive free or reduced lunches at school, but what do they eat when they are on break or off for the summer? The sad truth is, many of these children would go without. 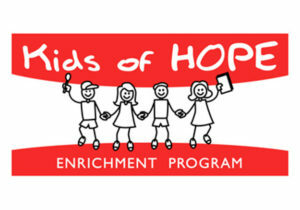 The Kids of HOPE program alleviates hunger and provides food for disadvantaged children while on school breaks. The Federal Free/Reduced School Lunch Program provides economically challenged children with healthy lunches during the school year. Unfortunately, during school breaks, many of these families do not have the means to purchase additional food for their children while they are home from school. Twenty-seven percent of working families in Seminole County live paycheck to paycheck and can be faced with the difficult choice of paying a bill or purchasing food for their family. An unexpected expense can quickly lead to homelessness for a family in crisis. 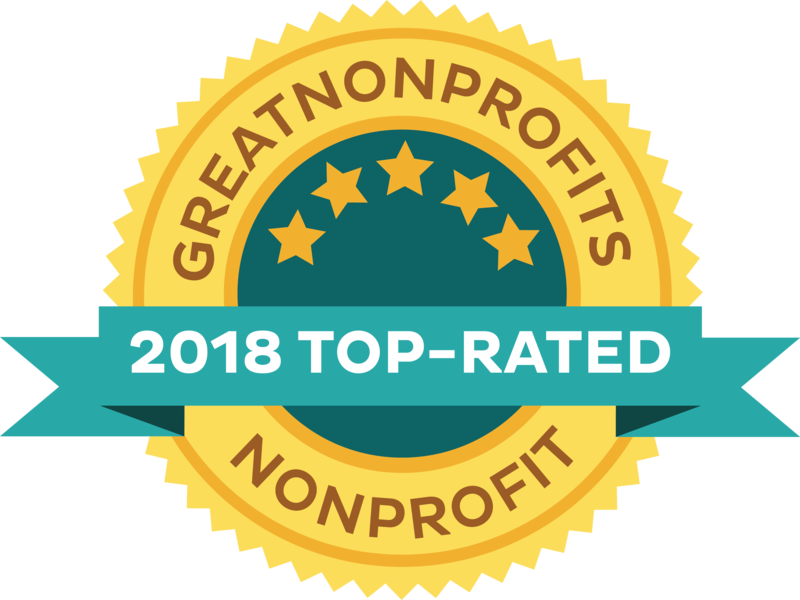 At HOPE Helps’ Food Pantry, we provide supplemental food including free meat, produce, bread, and non-perishable food four days per week (T/ W/TH/S), to families who register at HOPE. 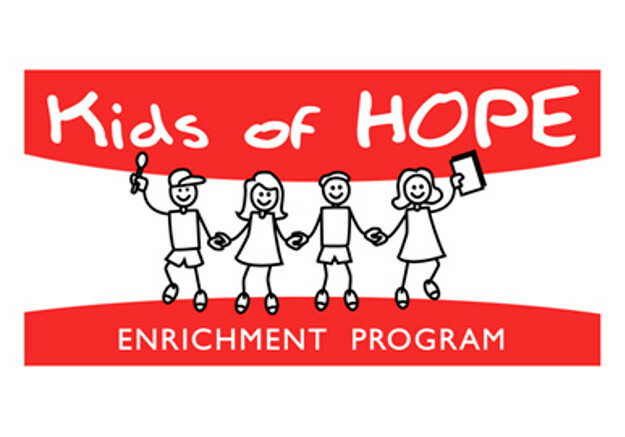 The Kids of HOPE program provides registered children with free lunches during the thirteen weeks of school break throughout the calendar year. When families come to HOPE to pick up their children’s week of food, which includes fresh fruit and easy open items for children who may be home alone while their parents work, the parents have the opportunity to meet with a case manager to discuss their personal situation and create a personalized plan to get back on their feet. 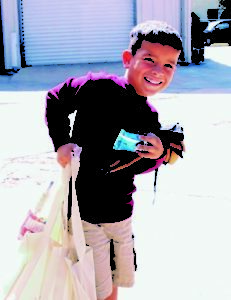 The Kids of HOPE program alleviates the burden of families having to choose where to allocate their limited paychecks, allowing them to focus on their goal of self-sufficiency.After meeting with a case manager and completing the intake process, clients are provided with additional resources such as assistance in job search/resume building, food stamp applications and financial counseling. Clients can continue with one-on-one case management meetings and/or group financial literacy classes to help them return to self-sufficiency and provide a good foundation for their children for years to come. 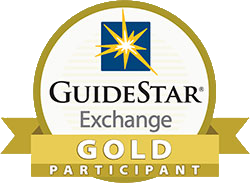 Additionally, in 2017 HOPE invited older teens to participate in budget and savings class to help prepare them for their future, with an attempt to help break the cycle of poverty. During each school break throughout the year (13 weeks), registered families pick up a week’s worth of free lunches for their children, and have access to a case manager. 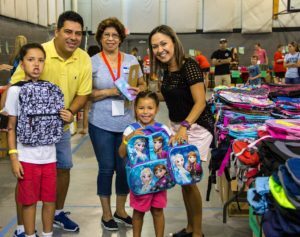 Toward the end of the summer program, these families are then invited to take part in the annual Kids of HOPE Back to School Bash, where they receive everything a child needs to start their first day of school just like any other kid! $7.50 helps provide a child food for an entire week they are out of school! $100 helps provide food for a child for each break they are out of school for a year! $4,000 helps provide food for every child in the Kids of HOPE Program for a week they are out of school! By providing an annual donation to the Program! 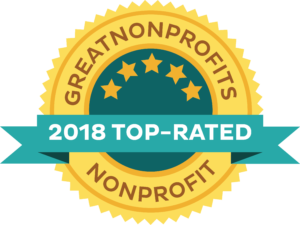 You can help by donating funds, volunteering your time by packing and distributing lunches during school breaks and sponsoring a week or year for Kids of HOPE. Sponsoring is the most cost-effective way to provide lunches to the children, as HOPE can purchase the healthy lunch items at a much lower cost than the general public. Fruit Cups – Peaches, Pears, Mixed Fruit, Applesauce, Raisins, etc.